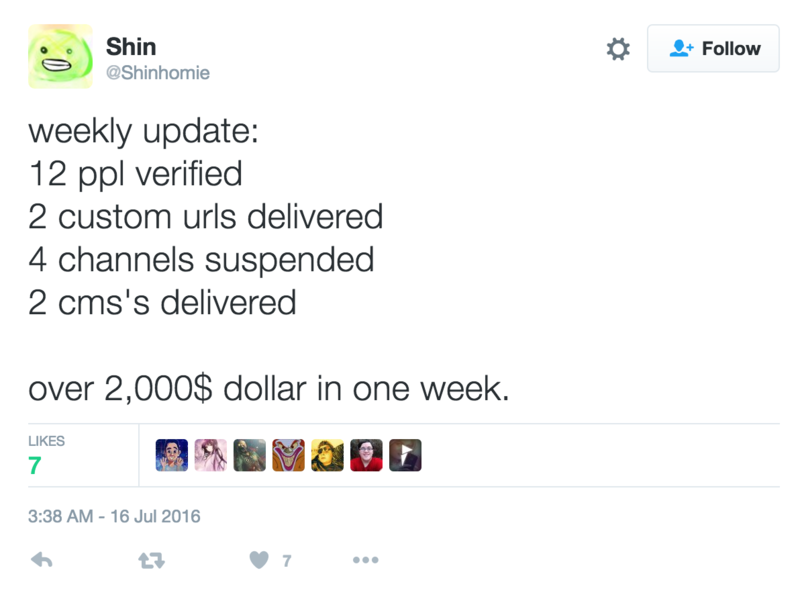 Disclosure: The screenshot in the thumbnail for this post was manipulated to more prominently show shincode’s selling of verification badges. You can view the unaltered screenshot here. 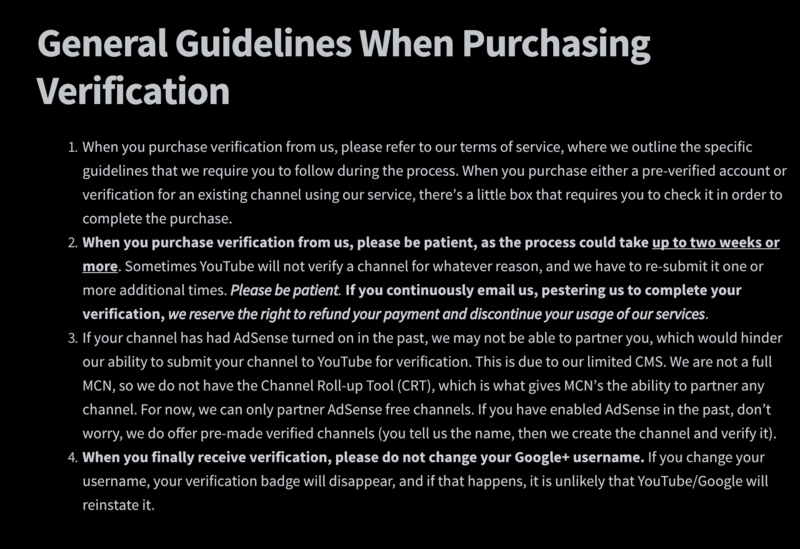 I’m concerned about a channel ([formerly at] https://youtube.com/c/shin) I saw which is linking to a website where people can buy YouTube verification badges, CMS accounts and “preset verified channels”. The user also claims to be certified through the YouTube Certification program. Is this even allowed? I would’ve thought that selling features was a big no-no. Thank you very much for reporting issue. (sic) Hopefully you’re doing great aside from this. 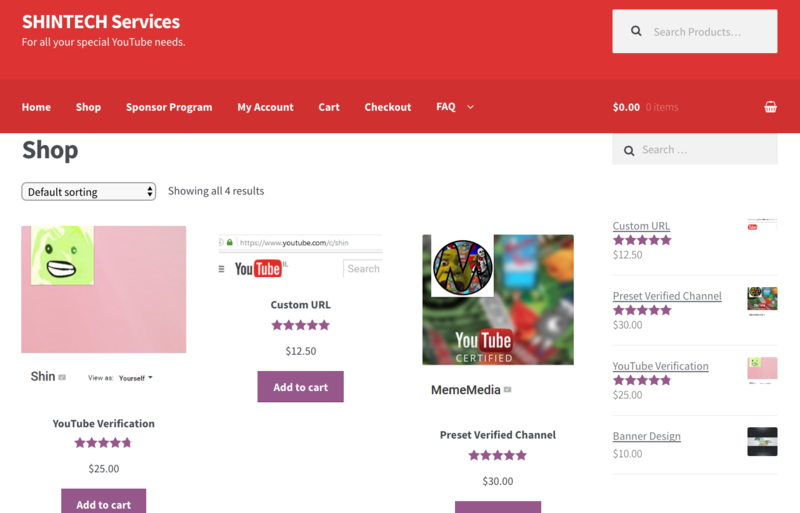 We know that creators work hard for their channels to earn this additional features. YouTube doesn’t tolerate or even support this type of transactions made from the website that is involved. I have already escalated this to our Internal team for further investigation. Again we are very thankful that you have reported this to us. 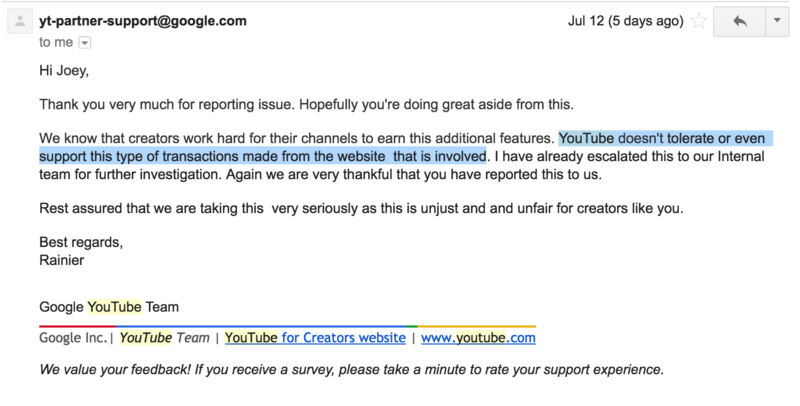 YouTube’s “internal team” investigated the website and likely started reviewing channels which were listed in a “widget”. They probably also looked at logs of Shin’s CMS account to check whose channels had been in there for short periods, since CMS accounts can request verification. 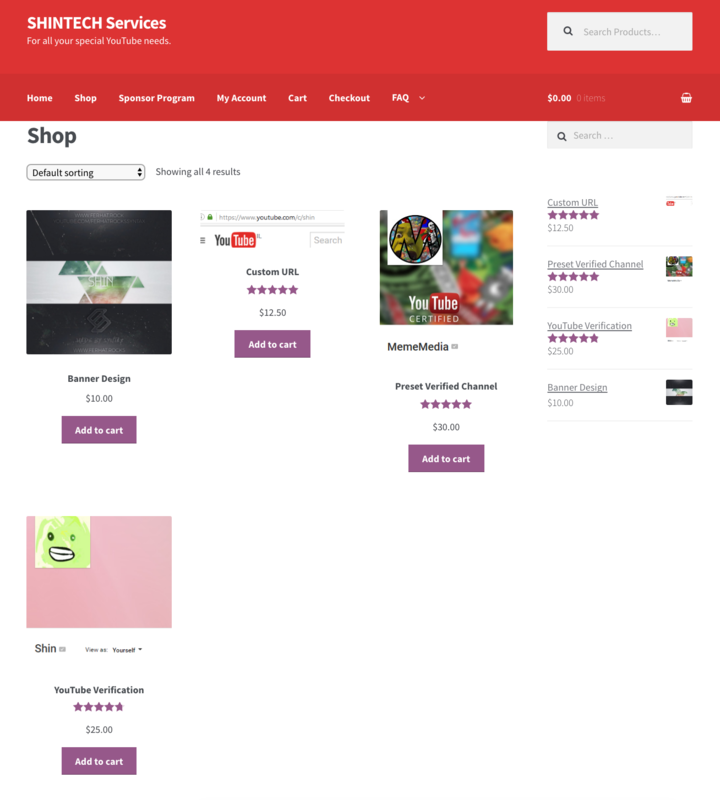 As a result at least four accounts were shut down, including that of the owner of the site – Shin – who then said (indirectly) that I “attacked” him and his customers. DaFoxVox was one of the channels affected. After I took responsibility, Shin and one of his customers then – rather understandably – made their feelings known. They wanted me to apologise for reporting the contravention of a contract they signed with YouTube when they signed up for the site. To be fair, he has a point. After all, my report of this action did lead to accounts that Shin didn’t operate being suspended. I am not going to apologise however. Had these users never purchased Shin’s services, they wouldn’t have been implicated in YouTube’s investigation and thus, their accounts would never have been suspended. Do I feel bad that innocent people were suspended? Yes. They probably didn’t know better. Do I feel sorry? Not really. They were caught in a sting. I’d probably try to make amends with some of them if they came forward (mann@iosef.org), but I wouldn’t ever apologise because I personally, did nothing wrong. If anything, YouTube did the wrong thing by terminating accounts permanently rather than revoking the channel’s verification/URLs. As I clarified, YouTube’s position on is that if you use a service that violates YouTube’s Terms of Service, the onus is on you and not the service provider – The reason I say this is because it’s the exact same thing that YouTube says to users who use “view-botting” sites which give you invalid traffic. Anyone seeking clarification or needing corrections should refer them to the comment section below.